Step into this gorgeous home and you will be welcomed by large windows that look out over the backyard. Nice open living and dining with beautiful fireplace. 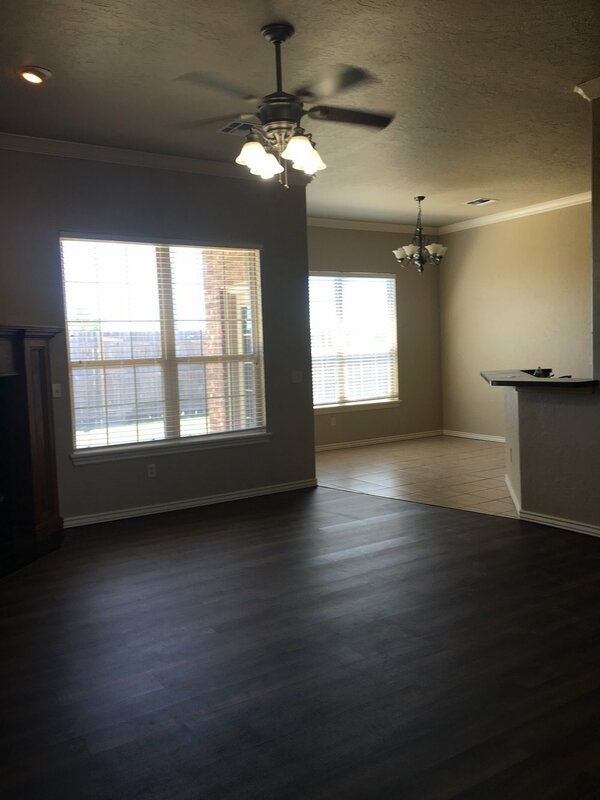 New hardwoods, paint, fixtures and lighting. Beautiful kitchen featuring a breakfast bar, tile backsplash and modern appliances. Master retreat is complete with double vanities, walk in closet, walk in shower and soaker tub. Guest rooms share large bath, office with french door and over-sized laundry room with lots of storage.